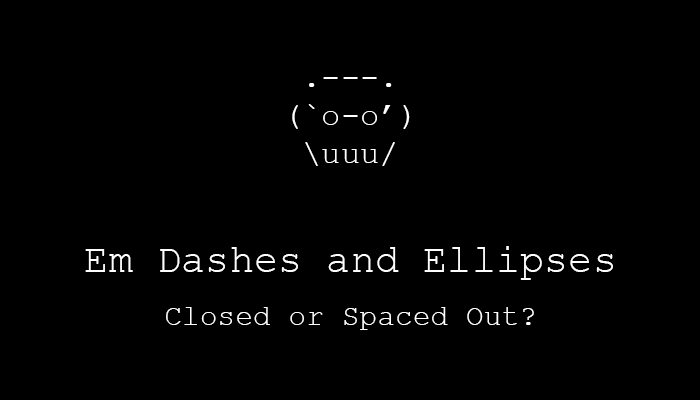 Em Dashes and Ellipses: Closed or Spaced Out? You might be wondering why I’ve paired the em dash with the ellipsis. Doesn’t the em dash usually get grouped with the en dash and the hyphen? 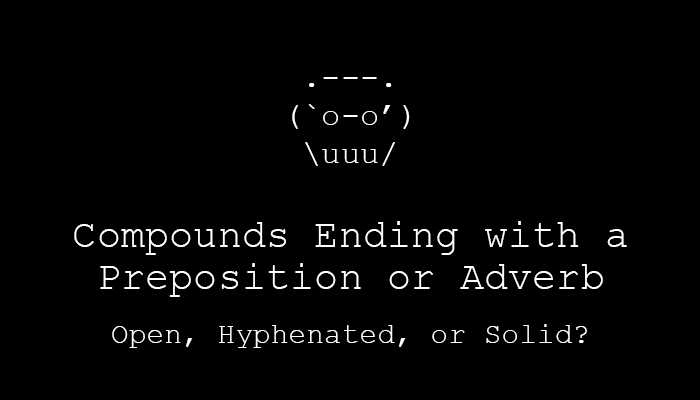 Or, less commonly, with the comma, the colon, and the parenthesis? Sure . 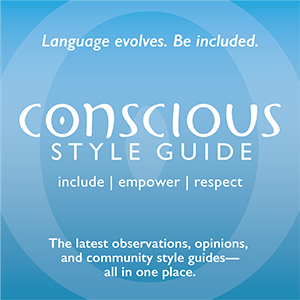 . . but those set you up for a discussion on usage, not style. (Please consult your favorite grammar book or blog for notes on usage.) If you look at these marks with style in mind, the ellipsis is most similar to the em dash. If you look at these marks with style in mind, the ellipsis is most similar to the em dash. AP (p. 369): An ellipsis consists of three periods, with a space before and after. Hey, guys … what’re you all laughing about? Are you gonna eat that? Chicago (13.48): An ellipsis consists of three spaced periods, with a space before and after. Love is . . . retweeting. So AP’s ellipsis is three dots shoved together, Chicago’s ellipsis is spaced out, and they both like spaces around the dots. Got it. A complication arises when people insist on using the ellipsis closed (i.e., without spaces between the dots). In that case, I recommend that you omit the space on both sides when attempting to follow Chicago style; this will match Chicago’s spacing preference for the em dash. 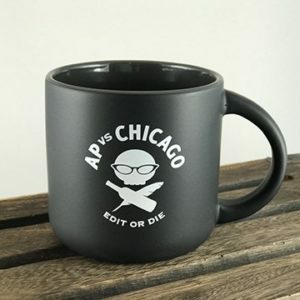 So AP’s ellipsis is three dots shoved together, Chicago’s ellipsis is spaced out, and they both like spaces around the dots. Got it. 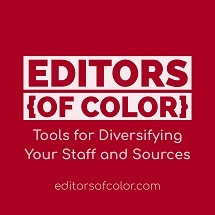 I do hope that I’m the only one who works with account executives who make editorial decisions based on how pretty something looks rather than how much sense it makes. If not, let’s start a support group. We can sit around, looking forlorn but hopeful. The group will be called Hyphens Are Not Ugly. There’s a part in The Chicago Manual of Style (13.48) which says that you, the writer, can use the three-dot glyph provided in word processors (Option-; or Alt-0133), but we, the editors, are just going to change it to the properly spaced version—with nonbreaking spaces between each period, of course. Nice. Likewise, if the author types two hyphens to represent an em dash, the double hyphen will be converted to a proper em dash. It’s quite janitorial in nature, but I suppose much of editing is. If you begin a line with an em dash or ellipsis, the only reason you would insert a space before is to drive your editor nuts. AP (p. 368): An em dash, like an ellipsis, has a space before and after, except when used to introduce items in a vertical list. When she called her cats — Chardonnay, Patron and Guinness — the neighbors came running. Chicago (2.13): An em dash has no space before or after, unless you’re doing some fancy word-replacing maneuvers with a 2-em dash. Glitter, felt, yarn, and buttons—his kitchen looked as if a clown had exploded. Miss S—— killed Professor P—— with a candlestick in the study. It’s easy to remember which gets what space where if you make a connection between the style’s intent and the resulting style. It’s easy to remember which gets what space where if you make a connection between the style’s intent and the resulting style. (See “Different Goals, Different Styles: Why AP and Chicago Are Not Friends.”) If AP style governs journalism, expect it to be condensed (hence the three unspaced dots for the ellipsis) and easily broken across two lines (via a space before and after the em dash and the ellipsis) to accommodate the space limitations and fast turnaround. An enthusiastic subscriber to the four-dot-method ellipsis style (Chicago, 13.51), I was thrilled when I saw the period-plus-ellipsis construction in the copy the client provided. This is extremely rare in advertising; well, good grammar is extremely rare. Then, immediately, it was followed by sentences containing five dots and then eight dots. Then fourteen. I burn through red pens quickly.